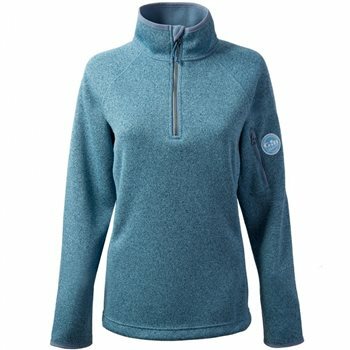 Fleece layers are an essential part of your sailing wardrobe and this one is very versatile. The outer knit fabric gives it a textured look while the inside is brushed for softness. The flat locked seams prevent chaffing or snagging whilst also giving it a flattering, feminine shape. A pill resistant finish means this sailing fleece will stay looking newer for longer, great news if it becomes your new favourite.